Business Insider recently wrote that EatAndTheCity´s global expansion project got 3.3 Meur funding recently to create the Google of Restaurants. EatAndTheCity is an online platform for restaurant discovery. This week, the biggest Finnish Trade Newspaper Kauppalehti wrote that EatAndTheCity can make a big impact and has already attracted internationally known media bosses to join the Restaurant Discovery Revolution. 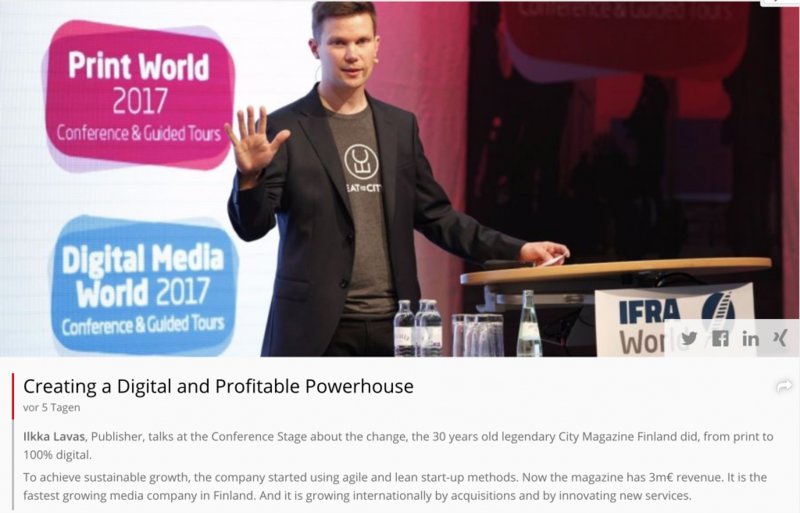 Ilkka Lavas, the CEO of City Digital Oy, believes in great teams and building partnerships to create growth. 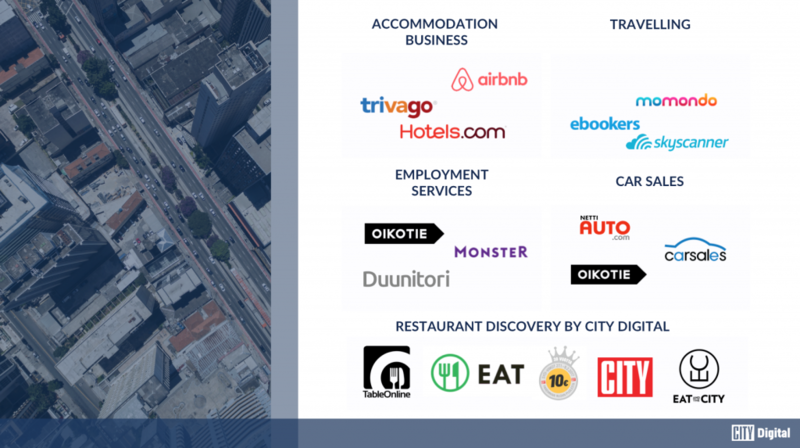 City Digital has team of 25 media, table booking, restaurant events, discovery specialists and software developers with great backend, UX and AI skills. City Digital has also attracted some interesting names in the media scene to its advisory board. The former editor in chief of Finnish broadcasting company Yle, now Visiting Fellow at Reuters Institute for the Study of Journalism Atte Jääskeläinen, the former CEO of media house MTV Oy, Heikki Rotko and former Editor in Chief of Metro Magazine Boston John Wilpers are sitting on the advisory board of City Digital Oy. EatAndTheCity at WAN-IFRA expo in Berlin: that media is next to bring Restaurant Discovery to the mainstream. 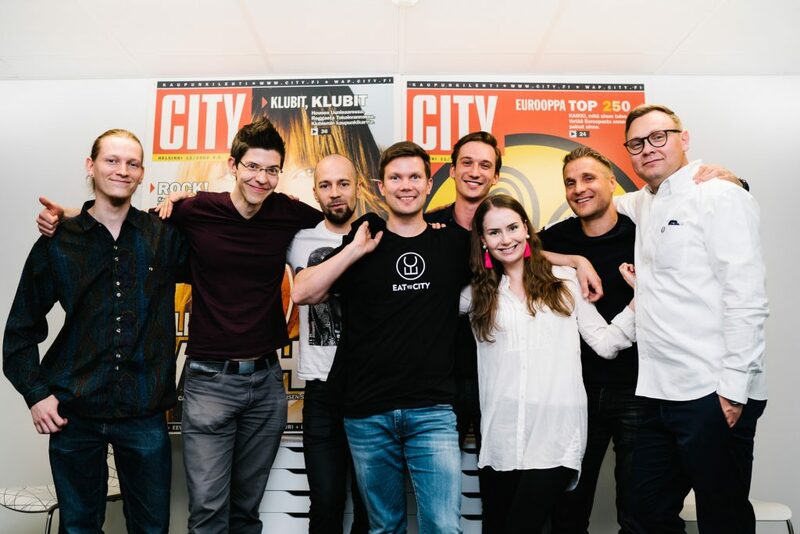 Also, EatAndTheCity, owned by City Digital has gathered an impressive board of professionals; Ilkka Kiviharju from Crafthouse, Fredrik Rönnlund from San Francisco based Vaadin, Kati Riikonen from Google and Reni Waegelein from Veikkaus Oy. In 2016, the revenue of City Digital Oy amounted to 2,25 million euros and the company expects to report a revenue growth. According to Lavas, the company will be profitable this year due to its fast-growing business in Finland. Capital will be spent to grow the international distribution network. City Digital is taking its international expansion to the next level and this growth spurt already successfully started this year when acquiring a paying customer base in Germany. The first goal is to expand to big cities in Germany, this followed by the United Kingdom. Both German and the UK markets have already been opened with sales teams. The next step is to expand to other German-speaking countries and after the UK into the USA. City Digital is already securing good, solid partnerships and has teamed up with several companies such as data partner Here, Michelin Guide’s online table reservation partner Bookatable and food delivery services like Wolt and Süddeutche Zeitung Media.